In a world where college fees go up every year, where the cost of campus-based classes invariably includes expensive extras, where the time commitment to complete college classes often can’t be balanced with work and family needs, Study.com stands out. These web-based classes offer motivated students a self-paced, self-directed path to achieving their college dreams in an affordable, flexible, quality ecosystem that prepares them for future careers in fields they love. 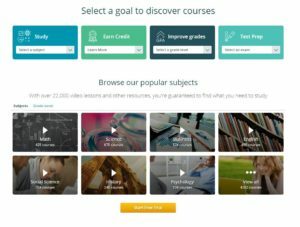 Study.com (formerly called Education-Portal) is a distance learning portal that provides over 70,000 lessons in fifteen subjects (including algebra, calculus, physics, chemistry, macro- and microeconomics, and more) aligned with popular textbooks. The engaging video summaries of textbook material provide access to more than a thousand full-length college courses. Students sign up for a Study.com membership (there are three options) and take as many classes as they’d like each month. Depending upon the level of service subscribed to, students can view videos, take practice quizzes and exams, and get credit for classes passed through a proctored exam. All they need is an internet connection and a webcam (for proctored exams). Each course has about a hundred videos, each 5-10 minutes in length. In the College Accelerator membership, subscribers earn college credits that can be transferred to any one of over two thousand participating colleges and universities. 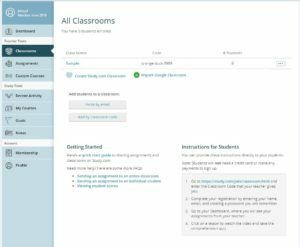 Study.com also offers a special (fee-based) Teacher Edition where educators can set up five virtual classrooms with up to 50 students in each, share class-themed videos, assign lessons and quizzes as homework, grade student work, print out worksheets, and get detailed reports on student progress. Lessons can be pushed out to the entire class or specific students. They can be uploaded to Google Classroom, Schoology, Blackboard, and a selection of other LMSs. Students join with a free Study.com account that can be accessed with mobile apps (with the exception of proctored exams). Choose and enroll in the classes that interest you. 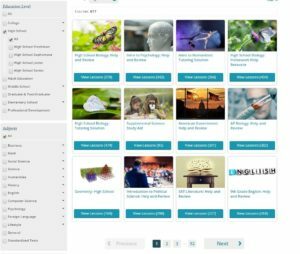 Search classes by sorting by education level and topic and then picking from the hundreds of videos on offer. You may also receive suggestions from your Study.com coach. 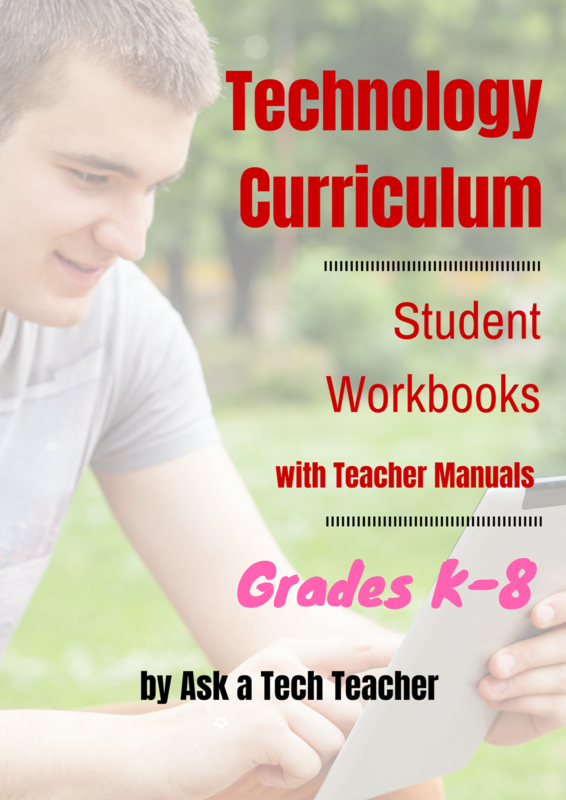 Work through the videos, PDFs, and other materials. Take quizzes and proctored exams available in your subscription. Complete the course by going through all of the lessons (and videos) and taking all required exams. 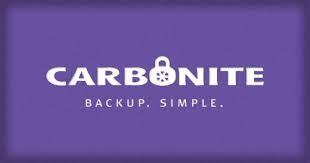 Receive a certificate or college credit, depending upon your subscription. Sign up for Study.com’s Teacher Edition. Create a classroom (in about ten seconds). Invite students via email, a unique URL, class code, or by manually adding names. Assign work, collect homework, grade submittals, track overdue work, and more from the Teacher Dashboard. 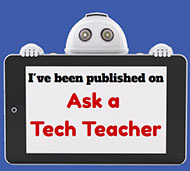 These can be pushed out as links to Google Classroom, Blackboard, Schoology, and other LMSs. Videos are 5-8 minutes, highly visual, engaging, and often hit exactly the details where students are stuck. Study.com allows multiple attempts to pass quizzes and exams, something I’ve been doing for years. It encourages students to learn the material, relearn weak areas, and removes the fear-of-failure brain freeze that many students experience on test day. The Instant Answers feature enables students to connect with their tutor for quick answers to questions they struggle with. On student dashboards, they can set personal goals with email and SMS reminders. This helps students to organize their learning and finish coursework in accordance with personal goals. If you’re taking Study.com classes through Thomas Edison University, no homework or textbooks are required–it’s all provided through Study.com. Here’s more information on that option. Study.com includes standards alignment in the Collection Details that can be found under the Syllabus tab. 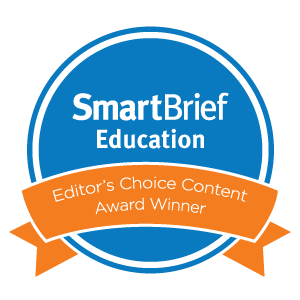 If you’re looking for Common Core, a selection of videos and quizzes are specifically designed to supplement Common Core instruction for grades 8-12. The two-hour proctored final exam (required for college credit) must be completed on a computer rather than a mobile device or tablet. The webcam recording is submitted with the final exam. This is online learning and as such, without the social engagement (good or bad) that comes hand-in-hand with traditional universities and colleges. Study.com classes require a familiarity with technology–playing videos, signing up for a subscription, and a few more details. Use Study.com’s animated videos and worksheets to supplement classroom material. Push out Study.com videos to specific students as intervention or enrichment. Make Study.com courses available to highly-motivated homeschoolers who want more depth in studies or college credit while in high school. 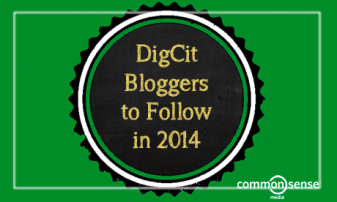 Provide course materials for a flipped classroom. Find course materials for a traditional classroom as an alternate way to explain complicated concepts. 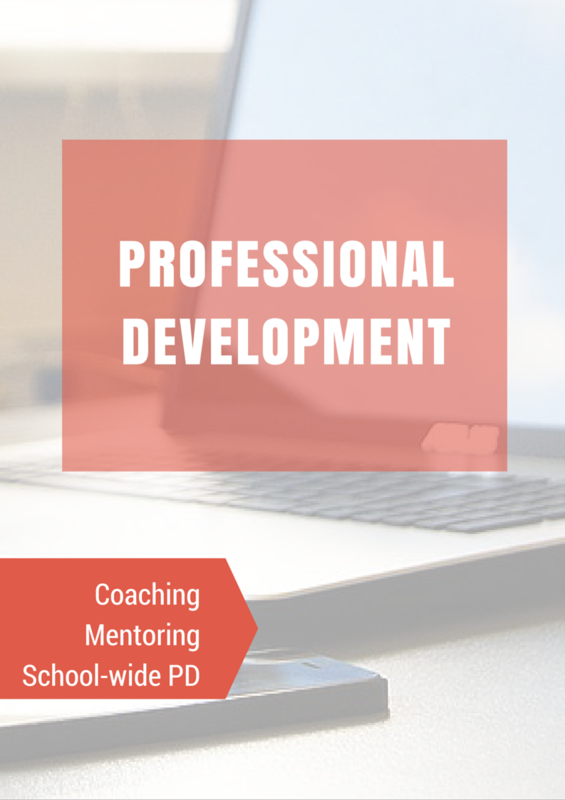 Avail lifelong learners to new skills. Prepare for the Praxis Exams, NES Exams (National Evaluation Series), California’s CSET or CBEST Exams, TExES Exam, and the FTCE Exam. Take Study.com courses through your employer for continuing education and professional development. For students pursuing Independent Study, Study.com offers Custom Courses where they can design up to ten courses with up to 50 lessons each. 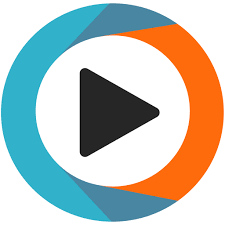 Teachers can use the Custom Courses feature to customize a series of videos for a class not perfectly aligned with an offered course. These are treated exactly like any other lesson under the Teacher Edition guidelines. There is a whole set of Enterprise solutions that Study.com addresses for the workplace but those are outside the scope of this review. Bite-sized learning that can take place anywhere with an Internet connection, anytime, at your own pace, Study.com goes a long way toward mitigating the cost, time constraints, and confusion of college, making it accessible to more students than ever before.